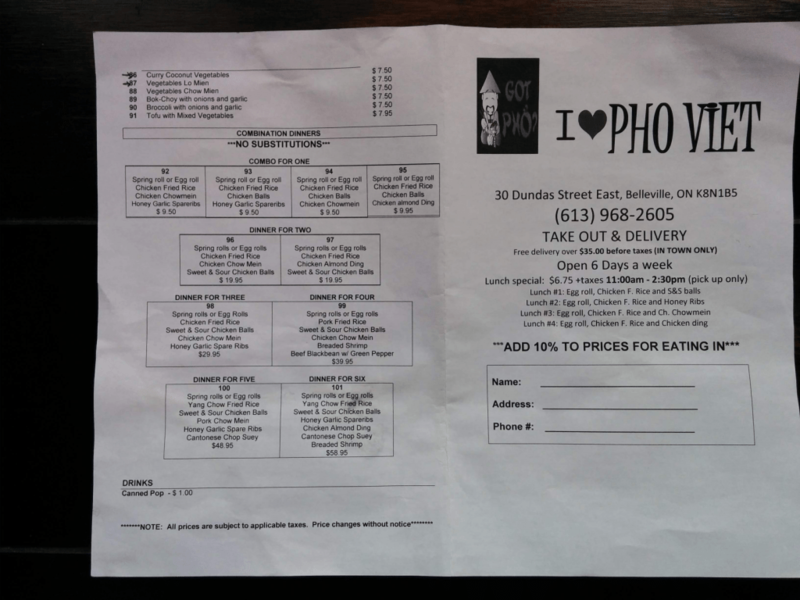 Pho Viet offers takeout and delivery (free delivery over $35 before taxes in town only). Lunch special is $6.75 + tax 11AM to 2:30PM (pick up only). 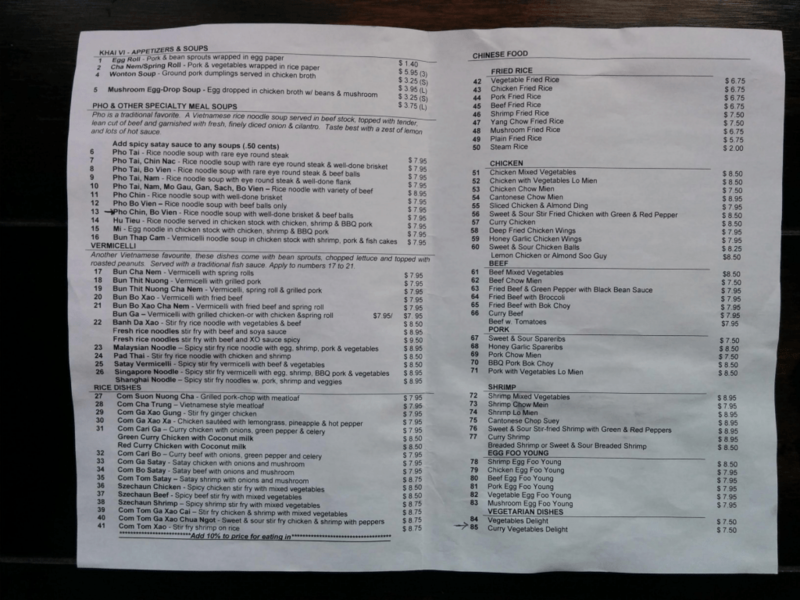 Pho Viet offers cheap Vietnamese and Chinese staples including pho, vermicelli, fried rice, chow mein and sweet and sour chicken balls. While cheap, their noodle dishes are very high in noodle content and could use more meat & veggies in my opinion.